Soorya Giri is a 30 year-old Indian-American environmental lawyer who lives at home, the only child of wealthy parents who wish to see her married to a nice Indian man. Battling with her weight and self-esteem issues, Soorya despairs of finding a husband and so agrees to bride viewing—a practice that enables her parents to choose an appropriate man who comes to her house with his parents so they can meet her and her parents and decide if she is suitable for their son. After several rejections, Soorya meets handsome and charming Rajesh Vandepalli and his family who come all the way from Kansas City to New York for a bride viewing. Thinking he could not possibly find her attractive and balking at his unconventional and unstable career, Soorya makes it clear she is not interested in supporting him through a practical marriage, no matter how much her family likes him. 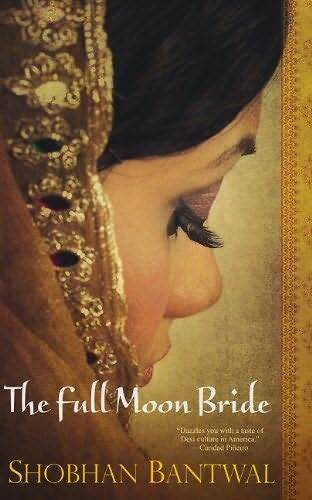 I enjoyed reading Bantwal's novel that deals with the experience of arranged marriages among the Indian culture in America. Soorya is clearly proud of her heritage, but she has also been raised in America, attended an Ivy League university and practices law in a prestigious firm. She is headstrong, proud and has a feisty character. She's also inexperienced in dating and relationships and now craves romance, marriage and children. Growing up in an immigrant family, I could relate to Soorya, although we come from diverse backgrounds. Soorya loves being a New Yorker, but culture does shape who she is, from the food, Hindu religion, modest dress and customs to the way her grandmother, who lives with them is highly respected. I enjoyed watching Soorya blossom both professionally and personally and see herself as more than just a plain girl who was always rejected. This was a fun book to read, although there were some scenes I didn't care for. I initially thought it would be a serious book from its cover, but Soorya has a good sense of humour, and I accepted the author's invitation to “join Soorya Giri on her bumpy journey to find that nebulous, elusive thing called 'love'”. Disclosure: Thanks to the author and Pump Up Your Book Promotion for sending me this book for review. I was not compensated in any other way, nor told how to rate or review this product. I love immigrant stories, so I imagine I would enjoy this one too. Sounds like one I would have enjoyed! Thank you for an insightful and fair review of The Full Moon Bride. I appreciate the kind support.